Alcohol industry gets nervous about competing recreational substances. Apparently, the alcohol industry's memory doesn't extend as far back as the 21st Amendment. You know, the one that ended prohibition. 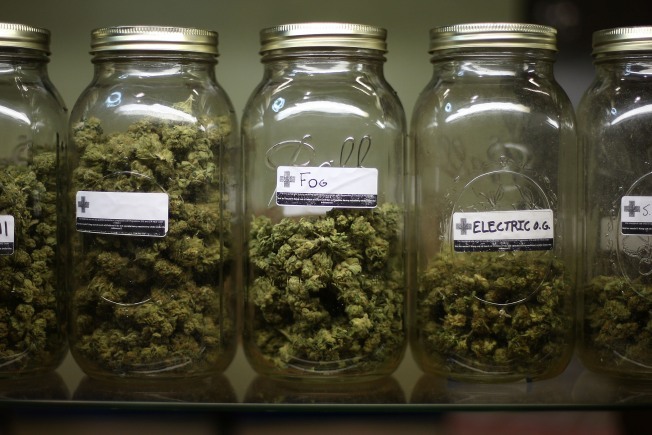 Lobbyists for booze-purveyors have sunk $10,000 into keeping pot as illegal as possible. Banning marijuana while keeping liquor legal is a public-safety issue, say opponents of legalization. It has nothing to do with perceived competition with newly-legalized recreational substances. A quote from a No-On-19 spokesman suggests sour grapes. "Alcohol is regulated by the ABC, whereas Prop. 19 leaves it up to an unmanageable patchwork of 536 different jurisdictional entities," Public Safety First spokesman Roger Salazar told the Contra Costa Times. It's not the first time that alcohol lobbyists have opposed marijuana. Back in 2008, they handed $100,000 over to a campaign that would have reduced penalties for possession. Apparently, poisoning your liver is just fine, but a few relaxing cannabinoids could spell disaster. Even if Prop 19 passed, it's not like pot would suddenly outpace liquor as the self-medication substance of choice. There would still be strict limits on the amount that people can possess, much less sell. Along with the alcohol industry, the anti-pot campaign has seen sizable donations from law enforcement organizations. Who'd have guessed, the people most in favor of prohibition are the ones who financially benefit from it?